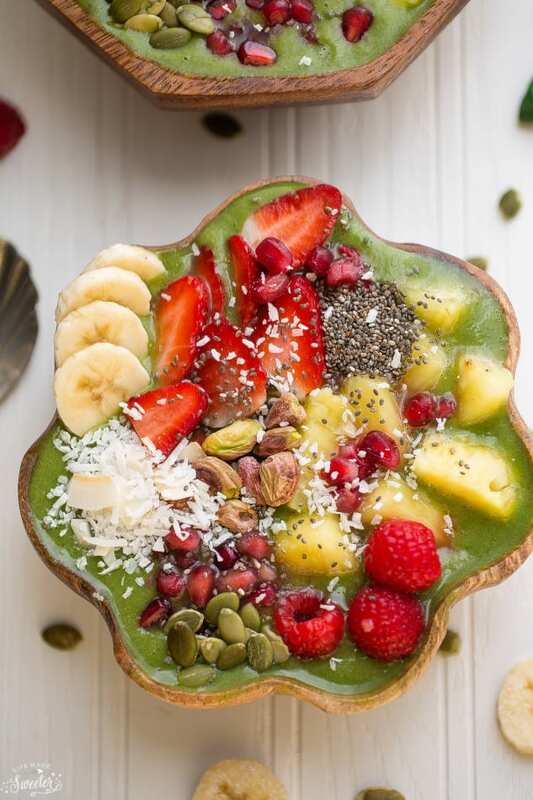 Green Goddess Detox Smoothie Bowl is a refreshing mix of pineapple, orange, pomegranate, spinach and baby kale. It’s the perfect healthy way to start your day! It’s the second week of January, how are all your doing with your healthy eating resolutions? 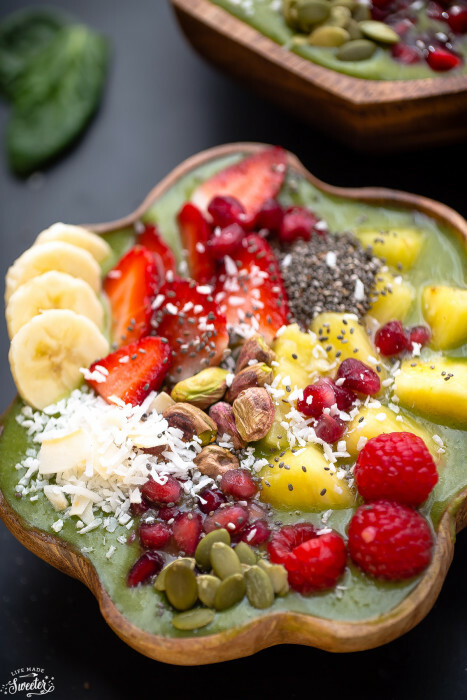 If you are finding it hard to get in that extra serving of greens or fruits, smoothies are a great option to add to your breakfast routine! They are my favorite way to start the morning to give me that extra boost of energy I need throughout the day. A few months ago, I started to add strength training to my workout routine just so I could keep up with my kids, and there are some days when my usual green smoothie isn’t filling enough. 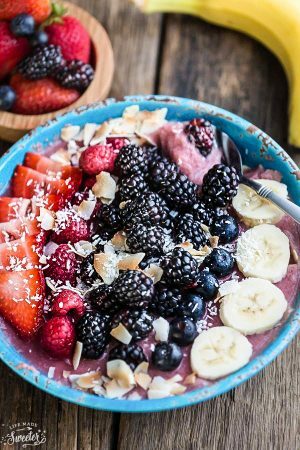 So that’s when I started making smoothie bowls instead since I had seen so many floating around everywhere. 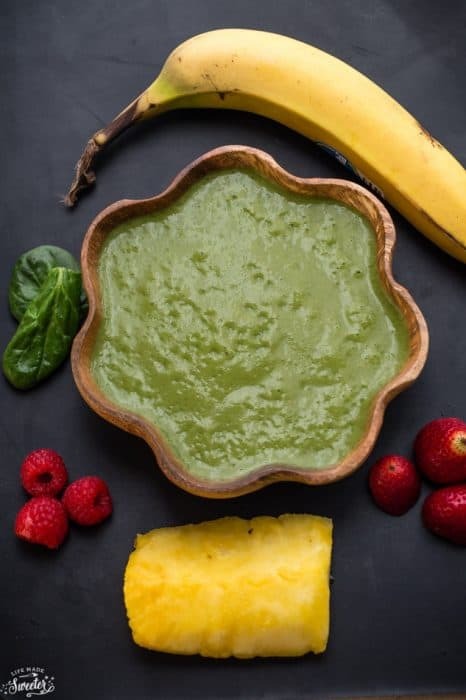 I just used my favorite green smoothie as a base with a couple of tweaks and then I usually just top it with whatever I feel like or have on hand. I have to admit, I can get a little crazy with my toppings some days. Also, have you filled out my first ever reader survey yet? I’d really love your feedback and it won’t take you very long. Please head over HERE to fill it out. Plus you can enter for a $50 GIVEAWAY! 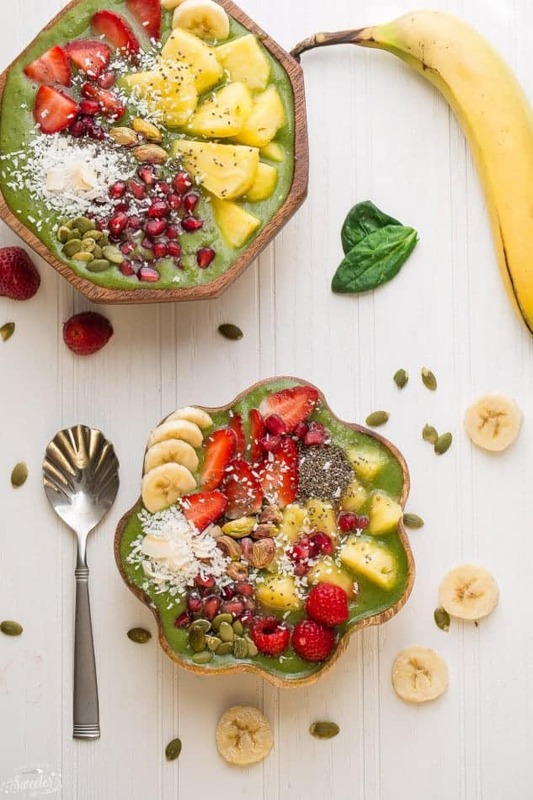 Green Goddess Smoothie Bowl is a refreshing mix of pineapple, orange, pomegranate, and spinach. It's the perfect healthy way to start your day! 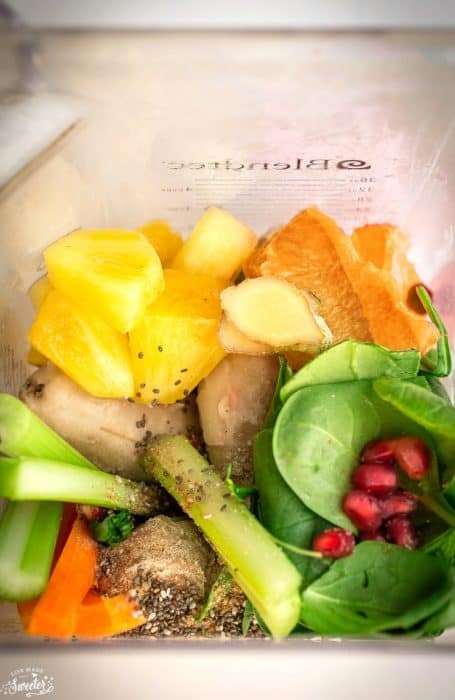 Place all the ingredients in your high performance blender in the order as they appear. 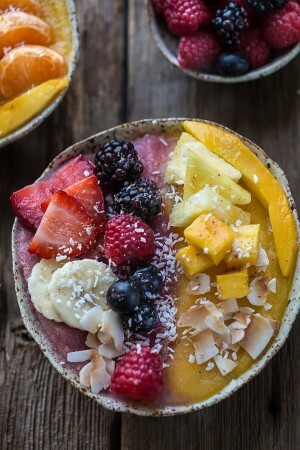 Pour into bowls, top with your choice of toppings and arrange decoratively. Serve immediately, and enjoy! 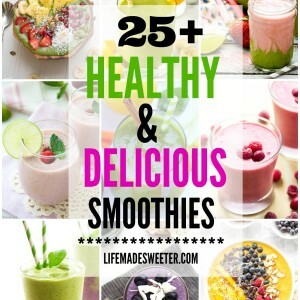 Life Made Sweeter’s board Shakes, Smoothies, Drinks on Pinterest.